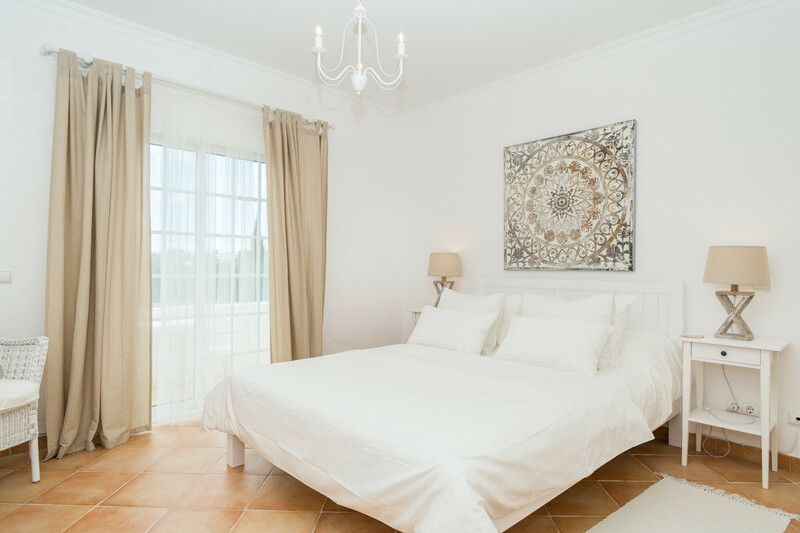 Villas in Carvoeiro - Casa Palmeira is a 2-bedroom townhouse. It is family friendly with a communal pool. 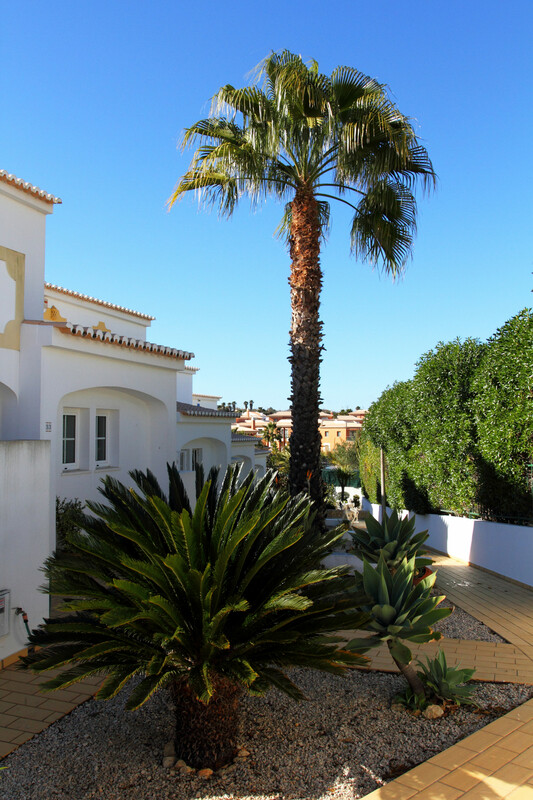 Casa Palmeira is a well located, bright and modern 2-bedroom townhouse with the additional benefit of a communal swimming pool, children's play area and a tennis court available for use of guests. With 110m² the property, built over three floors, sleeps 6. 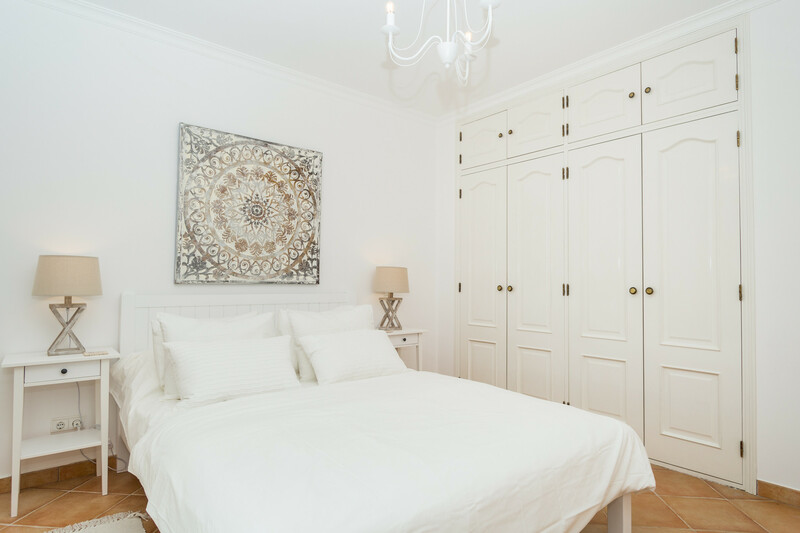 The townhouse has recently been tastefully decorated and has air-conditioning throughout. It consists of a good-size bright, south-facing lounge and dining room, a modern kitchen, utility area and a shower room on the ground floor. There is a comfortable sofa bed in the living room which sleeps 2 people. On the lower floor there are 2 double bedrooms and a second bathroom. Both bedrooms have access through patio doors to a terrace. The first floor has 2 private roof-top sun terraces. The property is fully double glazed and has a log burner in the lounge. 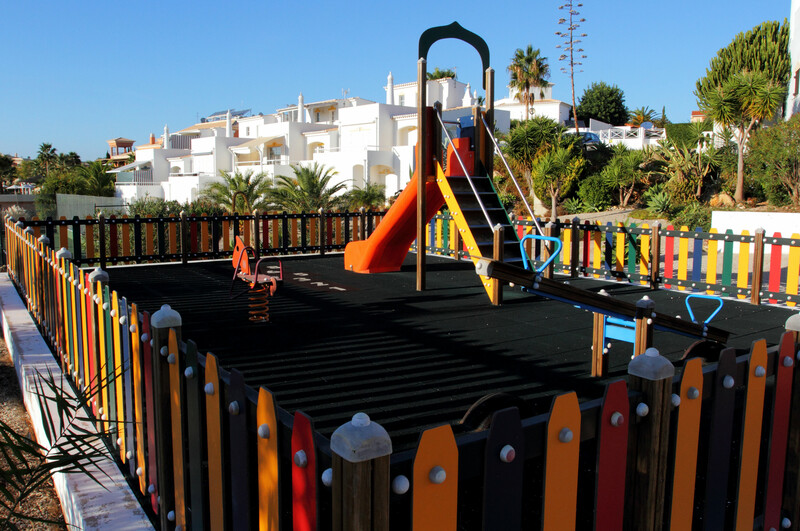 Situated in a quiet cul-de-sac, close to Carvoeiro. 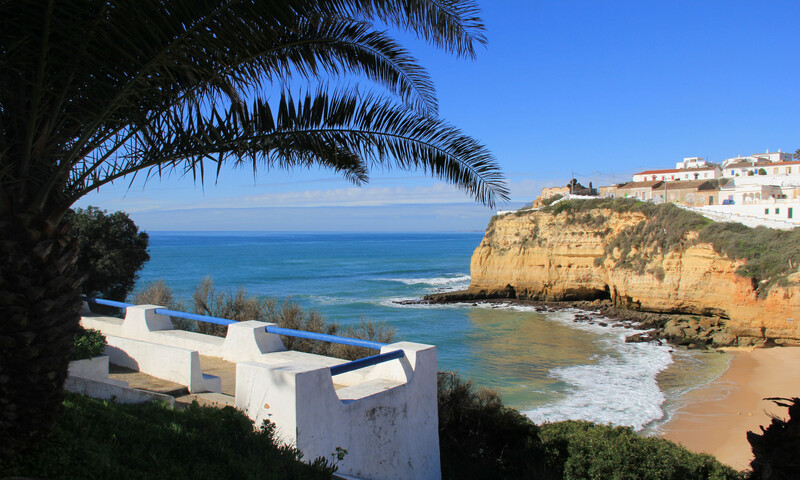 There are plenty of activities in the area together with exceptional golf courses including two championship courses, Pestana Pinta and Gramacho, which are just a 5-minute drive away and, of course, many local beaches. The village of Carvoeiro is a short drive away and offers a host of cafés, bars, shops, numerous superb restaurants, a beach and various activities such as boat trips to the vast array of caves and caverns in the area, a scuba diving centre, kayaking, pedaloes and much much more. The village also hosts many open-air musical events throughout the summer months. Air conditioning is available which also provides heat during the winter. 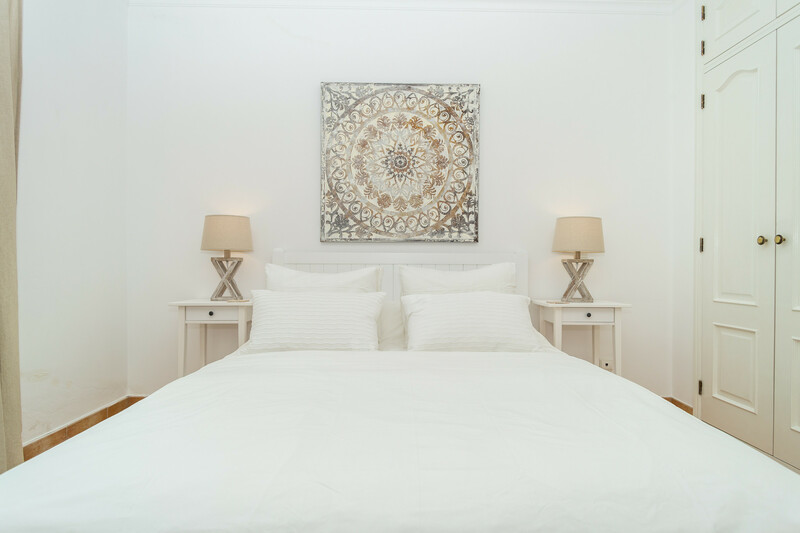 Lagoa is also very close with several large supermarkets where you can stock up on favourite items and a modern shopping mall with clothes shops, domestic outlets and restaurants is 20-minutes away. The theme park Zoomarine is not far, just a 15-minute drive, also running a bus service. Zoomarine's main attractions include exhibitions by dolphins, seals and sea lions, an aquarium with sharks, 4D cinema, various rides, attractions and swimming pools. The theme park is also a reception for injured wild aquatic animals that are released back into the wild once they have recuperated. If you are an animal lover, Lagos Zoo is also only a 30- to 40-minute drive away with the monkey islands being a great favourite with children. 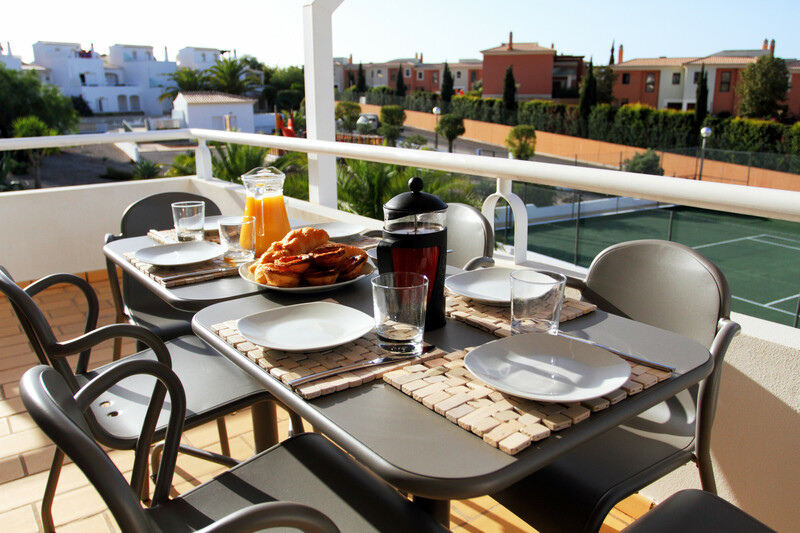 1 TV, TV Satellite (Languages: English), garden furniture, barbecue, iron, internet (Wi-Fi), hair dryer, balcony, childrens area, tennis court, 110 m² property, 110 m² plot, electric heating, air conditioning throughout the house, communal swimming pool, Open-air parking.